The Fairfax County Public Schools’ Budget Task Force should have final recommendations by Nov. 9 on how to close a potential $72 million shortfall for Fiscal Year 2017. The task force has met seven times and was slated to deliver its final report to FCPS Superintendent Karen Garza on Oct. 15. The task force has requested additional time to prepare the report, which is now expected to be presented to the school board at its Nov 9 work session, a school spokesman said. FCPS says it arrived at the latest budget gap figure (down from $100 million) by plugging in updated revenue and required expenditures and including a 3-percent transfer increase as included in the County’s budget guidance. “The budget shortfall could fall above or below the estimate,” FCPS Department of Financial Services staff said at a board work session in late September. “The shortfall contains uncertainty because there are costs and funding that are not determined until later in the budget process,” the Financial Services presentation said. Garza has said a large portion of the school system’s rising costs are due to increases in compensation, rising health care costs and retirement fund contributions. The school system — now with 188,545 students — has a growing enrollment with an increased need for special services. Garza will present her proposed budget in January. The final budget will be adopted by the school board in May — and it may contain changes such as increased class size, cutbacks in sports and activities and a reduction in staff positions, among others. Meanwhile, FCPS Hunter Mill School Board member Pat Hynes, who also serves as the school board chair, is hosting the Hunter Mill District Community Budget Meeting on Wednesday, Nov. 4, from 7 to 9 p.m. at Madison High School (in the Lecture Hall), 2500 James Madison Drive, Vienna. Hynes will be joined by Budget Task Force member Sridhar Ganesan,who lives in Reston, and a representative from the Office of Financial Services. They will give a brief budget overview, demonstrate a budget proposal tool, and answer questions about the process and how community members can make their voices heard. Q: What number/percentage are ESOL students and receive free/reduced lunch? A: English for Speakers of Other Languages (ESOL) eligible students (service levels 1-4) are projected to be 17.0 percent (31,989) of FCPS enrollment in FY 2016. Students eligible for free/reduced lunch are projected to be 28.2 percent (53,170) of FCPS enrollment. A student may be in both of these categories. The FY 2016 Approved Budget includes an overall net increase of 2,631 students over FY 2015 actual enrollment. ESOL students are projected to increase by a total of 885. Q: Does the health insurance increase reflect the portion that FCPS pays? Does it already reflect any increase in the employee? enrolled in mini-family or family plans. Also, FCPS contributes 70 percent of the established dental plan premium for employees enrolled in a dental plan. Q: When did compensation last increase and by how much? What is the trend? A: Employee salaries increased for FY 2016. All employees will receive a market scale adjustment of 0.62 percent and eligible employees will receive a step increase that averages 2.5 percent. Q: The chart of FCPS annual budget change shows increases in the budget in 2012-2016 but Dr. Garza indicated in her intro the budget has been cut every year since 2008. Which is true? To what was she referring? A: FCPS’ budget shortfalls are largely a consequence of expenditures growing at a faster rate than revenue. addressed significant budget deficits through a variety of means including increases in class size. Between FY 2009 and FY 2016, FCPS has endured cuts of nearly $500 million dollars, including the elimination of approximately 2,275 positions. These reductions, that were made each year to balance the budget, have all directly impacted the operation of FCPS schools and departments. 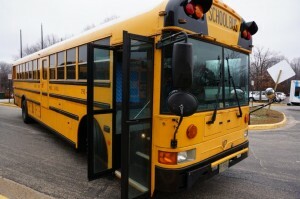 Q: How much is spent on transporting students to schools that are not their home/base schools? A: Based on the FY 2015 Program Budget, approximately $8.4 million is allocated to fund transportation outside of students’ base school. That includes: Transportation – Academy $2,206,047; Transportation – Advanced Academics $4,467,473; Transportation – Elementary School Magnet $451,203; Transportation – Thomas Jefferson $1,261,790. See many more questions and answers on this page on the FCPS website.